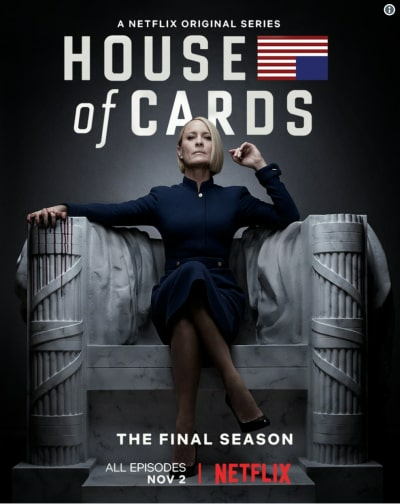 House of Cards is returning for one final season, and there will be a big change at the wheel. Robin Wright will lead the cast of the revamped political thriller, which was forced to write out embattled star, Kevin Spacey following multiple allegations of sexual misconduct. Frank Underwood will be dead and buried when the Netflix series returns. 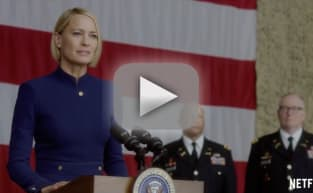 As previously reported, Claire will be the President of the United States when the eight-episode final season gets underway. Wright recently revealed that there was a strong possibility that the final episodes would never be made after news of the scandal broke. Netflix acted quickly to the reports by firing Spacey and leaving the fate of the series up in the air. “The air was thick, you know. Harvey Weinstein… People were [saying], ‘We have to shut everything down, or otherwise it will look like we are glorifying and honoring this thing that’s dirty,'” she said in an interview with Net-a-Porter. Have a look at the scene below, and be sure to watch the final season when it bows on the streaming service November 2.